Most fun game on 1 keyboard! We noticed that since the introduction of the account sharing rule, in May, some players still have questions.You can read the complete rule below this more in depth clarification. With this post being released we hope that players will understand this rule better. The rule has been active since May but we will strongly enforce it from now on. If you have any questions, feel free to contact support or a community moderator. 1. To start, account sharing is NOT allowed. We will obviously see the difference between you playing on a school network or you spreading an account. 2. There is NO good excuse to share an account with someone. This means you can't let someone use your account because you go on vacation or to play in a tournament. 3. CF Support is allowed to deny giving you support when you shared an account or gifted it. We will not be able to verify the real owner. Who are the moderators and what do they do? What are the moderators for? Put simply, the moderators are here to monitor/improve the Curve Fever community. With the developers busy coding and doing other important work, moderators will deal with checking up on the players themselves. They do this in different ways and this will be explained below. Right now we have a wide amount of moderators and their roles are split up into different subsets. Exactly what these mods do will be described in the next section. Another guide to give you all more information on what the moderator team notices within the community. This time we will talk about users creating new accounts. We receive a lot of support questions for a lost account. This could be because you forgot the email, password or don't have access to the email anymore (in order to reset the password). Here are a few very good tips! When choosing a password, use a password manager or sentences which serves as your password. Those are easy ways to remember. When playing on your personal device, you can save the login information. 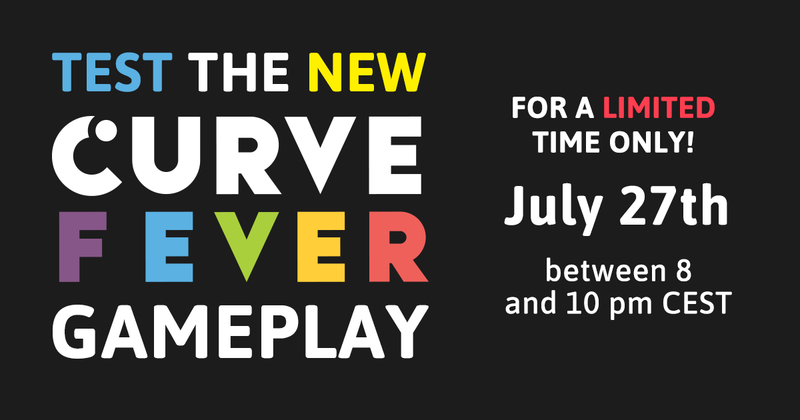 If you have lost access to your account, you will need to contact the Curve Fever support service. You will need to proof that you are the owner of the account. We do this in order to prevent account stealing and to ensure our security level. Which proof counts? Yes! You have read it right. The Tribunal is coming back! The entire Curve Fever Team is very happy to get this old lady out of the barn and make the community a better place. What? The tribunal is a place where players can help decide what happens to in-game reports. These reports involve inappropriate chatting or provoking. You can choose to agree, pardon or skip a report. Based on the results, the team will take action. Moderators do keep an eye on everything and always approve or deny. How? All reports are by the in-game cf2 report option.